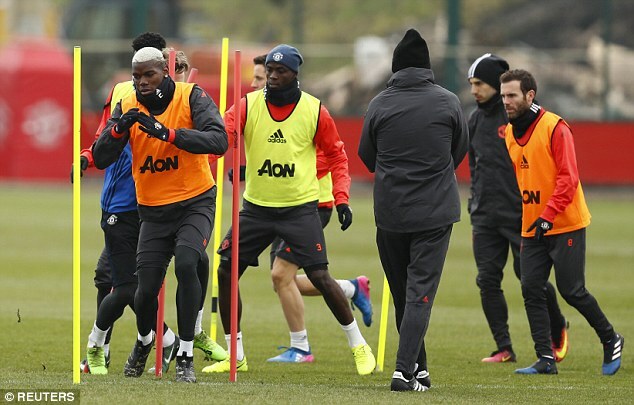 When Manchester United host St Etienne at Old Trafford on Thursday it will be a family affair for record signing Paul Pogba. 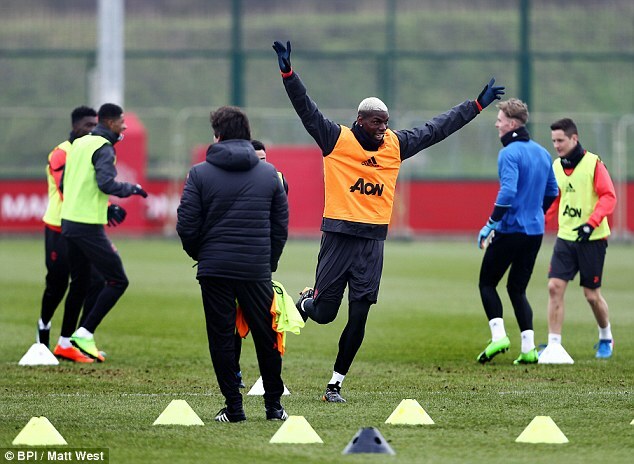 Pogba will line up for Jose Mourinho’s side opposite his brother Florentin who is a defender for the French side. The £89million signing from Juventus may be a France international, but his 26-year-old brother has won 12 caps for Guinea. 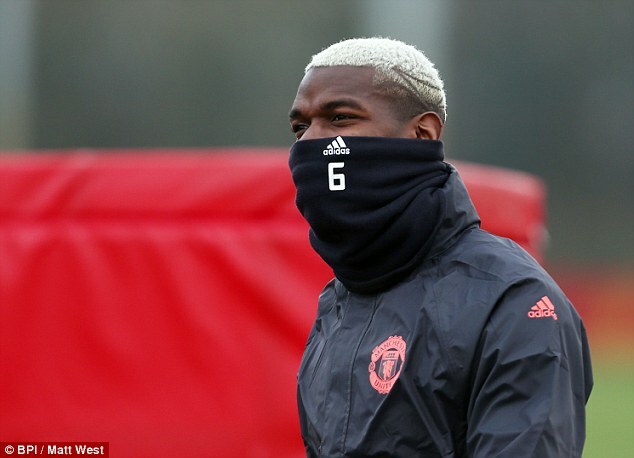 Pogba’s mom, Yeo Moriba, is unsurprisingly hoping for a draw but Mourinho has warned her that one of the sons will be upset next Wednesday when the two-legged affair is over. 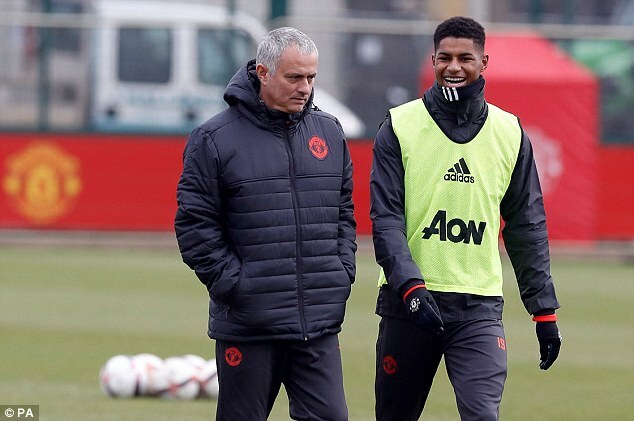 ‘We spoke in a funny way, a good way,” Mourinho said of a chat with the Manchester United midfielder. 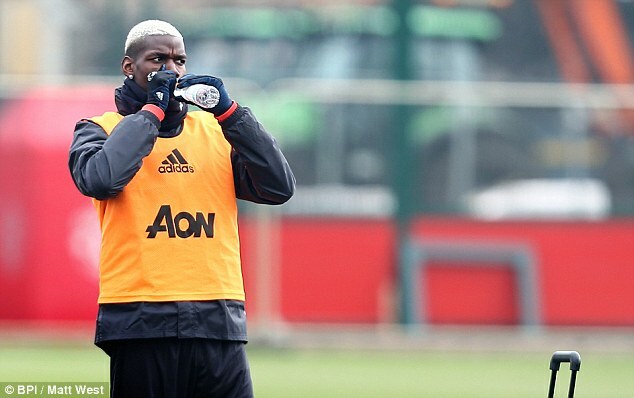 ‘I think it’s a nice destiny, I think only Mum Pogba is a little bit in trouble, which is normal, it’s difficult for the lady, it’s impossible to choose. And Pogba Snr says he is ready to put their family ties to one side when he tries to stop him getting on the scoresheet when he marks him at set pieces. 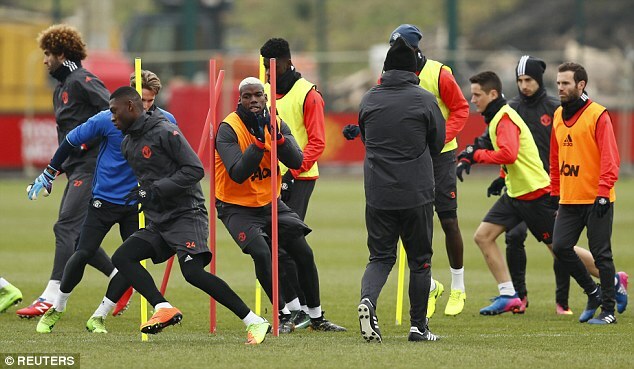 Meanwhile, ahead of the game Wayne Rooney, Michael Carrick and Phil Jones were absent from training ahead of the Europa League clash. Old Trafford plays host to the first leg of the last-32 tie on Thursday, with Mourinho’s men looking to take a comfortable advantage to France next week. 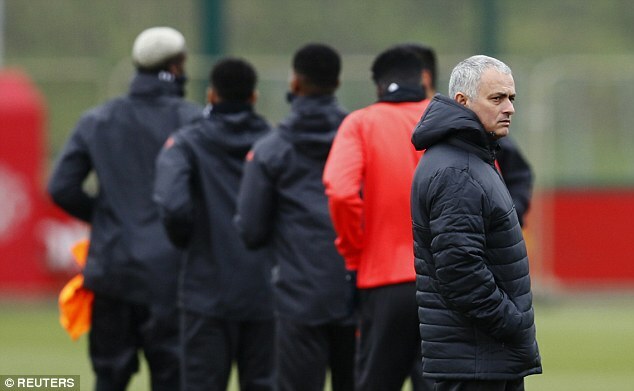 Rooney, Carrick and Jones were conspicuous by their absence from the 23-man squad at the Aon Training Complex on Wednesday morning. Jones has been absent since going off in the Premier League match with Hull due to a foot complaint, but Rooney and Carrick were on the bench against Watford.